Starting HomeGems Inc., (a Residential General Contracting Company) has been a goal reached after many years working on yachts, small homes, condos & luxury homes. The owner Ronnie Williams is dedicated to improving the residential construction process, features and functionality of projects he work on. He know the cookie cutter track built process doesn't always work, when you need custom features requiring design alterations. Through our process, we work with our customers to provide goal oriented service to meet their custom home needs. We believe our customer friendly effort to simplify the construction process is key to having a successful completion of all projects. To get your project started, I designed "www.homegemsinc.com" website supplying information of our process to hopefully assure your contracting experience with us is pleasant & professionally accomplished. You can contact us via houzz.com, but all custormer's "service call" orders should be placed at www.homegemsinc.com. Keep in mind, we offer our specific listed services as part of a larger contracted package project of $15,000K, 35,000K to $850,000K or more, where several different trade task is required to complete the project. At HomeGems Inc., we use a computer 2D-3D Cad Program on new home construction projects and some remodel projects that may need greater clarity. Using CAD assistance on new home plans and some remodel projects, enable us to simulate blueprints and transform them into 3D virtual reality. Afterwards, we meet with the customer and give them a chance to view the 2D or 3D layout and make critical design alterations to meet their needs. We incorporate those final changes into the home design and have an engineer check them to make sure all structural local code requirements are met (when neccessary). If requested or needed these changes can be used to aquire a new set of Blueprints. Giving the customer a greater ability to detect perceived flaws and make design changes to address issues in the original blueprints before construction start and large amounts of money is spent, is a wise approach that save time, headaches and reassure the customer that we're listening and focused on their needs. 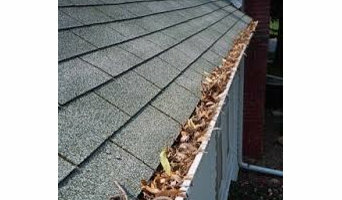 Gutter Cleaning w/ Free Roof Inspection! "Making Homes Happy Places" I am a Full Scale General Contractor. 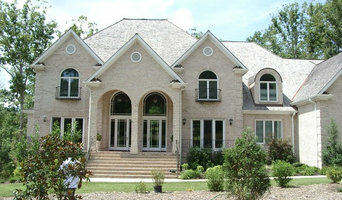 I can do it all, from New Builds to Remodels or Additions. I take pride in each and every project and client. With over 30 years of experience, Building Custom Homes and catering to my clients desired taste, creating your vision is my specialty. Full service residential and commercial remodeling company. 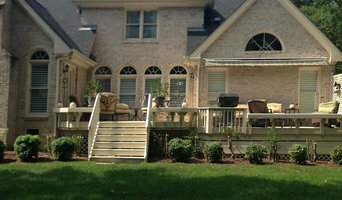 Full service interior and exterior remodeling and repair company. We specialize in residential home improvement--especially windows, siding, and trim--and offer general contractor services, serving the Triangle-area in NC. 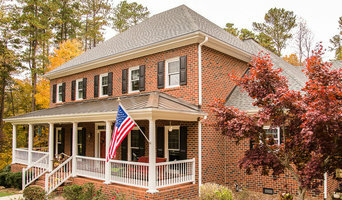 For over ten years, owners Shawn Sell and Joe Bass have built a solid reputation as North Carolina's most trusted remodeling business. "MY GUYS" is committed to providing quality service to the community. They have the highest rating possible at "Angies List", hold a perfect record as an accredited business with the Better Business Bureau, and are distinguished as one of the top 50 remodelers in the USA. They will treat you like family, and your home like their own. 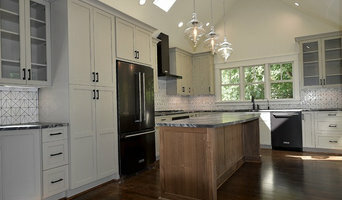 Thank you for taking the time to contact My Guys Remodeling for an onsite estimate or to get your questions answered. If you want to visit us, we also have a showroom in Morrisville which is available by appointment. We provide a variety of services, including: Roof replacements, roof repairs, insurance claims representation, exterior painting, interior painting, vinyl siding, concrete siding (hardiplank), carpentry, interior trim, gutter repair, gutter replacement, drywall repair, leak repair, hardwood floors, carpet, framing, decks and many more trades. We guide our clients through the claims & repair process, focusing on communication between the clients and our team members. We want to make sure that you are involved in the process each step of the way (so long as you want to be) and that your project is completed on time and correct, the first time! B & S Home Improvement is a locally owned and operated small business who focuses on complete customer satisfaction and the highest quality projects. Our goal is ensure all of our clients are happy and satisfied with our work. Claudio, owner, has been in the paint and home improvement industry since 2000. B & S Home Improvement specializes in interior and exterior paint, repairs and improvements. We look forward to working with you!